Belief in the advent of Imam al-Mahdi is an important tenet for the vast majority of Muslims across sectarian lines. However, some have come to question the decisiveness of the hadiths concerning the advent of al-Mahdi, especially based on Ibn Khaldun’s arguments in his Muqaddimah. The current work is a translation of Maulana Ashraf ‘Ali Thanwi’s masterful refutation of Ibn Khaldun titled ‘Removing the Doubts of Ibn Khaldun’. Maulana Thanwi demonstrates that the belief in al-Mahdi is proven through an early consensus, that the narrations regarding him are numerous to the point of continuity [tawatur], and lays bare to the reader the underlying weakness of the arguments against Imam al-Mahdi’s advent. The translation of the work is further supplemented by the translator’s research on the narrations discussed in the work and the concomitant analysis, which are presented to the reader as footnotes. In his Muqaddimah, Ibn Khaldun has quoted the arguments of those who deny the advent of al-Mahdi. He also appears to be inclined to the same view and has, therefore, quoted those arguments rather assertively. Even though the author is not an authority in hadith sciences,it was feared that some simpleton may fall for his arguments. Therefore, it was considered important to pen down some points as a cogent response to the immature doubt-raising questions. Though the scholars of hadith have differed about the specification of hadith as continuous [mutawatir], well-established authorities have clarified that if the hadith works are carefully traced, a [large] number of reports would be found reaching the degree of continuity [tawatur]. Therefore, it is evident that the number of narrations about al-Mahdi are so numerous that they certainly reach this degree like many other narrations. As indicated under heading 2, the narrators of this tradition at each step are so many that together these individual chains of the authorities can be graded as continuous. It is established that for continuous reports the reliability of [all] the narrators is not required. What effect, therefore, will the weak and contentious criticism have in the context where even strong criticism does no harm? Ibn Khaldun has himself quoted from other hadith authorities the reliability of most of the narrators who have been criticized. The criticism, therefore, is disputed and for this reason before quoting negative criticism Ibn Khaldun has highlighted the principle of negative criticism taking precedence over positive criticism. Firstly, this principle itself is presumptive [zanni]. Secondly, it is subject to much discussion. Thirdly, reliability is [established] a priori for a Muslim [especially of the first three generations] and by dint of the principle ‘certainty is not undone by doubt’ there is room for giving precedence to positive criticism over negative criticism where most of the negative criticism is disputed as stated by the author himself. Fourthly, this negative criticism can be harmful only when supported by continuity or consensus which is not the case here. As stated by the hadith scholars, the weakness of a report is compensated by a multiplicity of chains of authorities. So when the agreed-upon weakness is compensated for in this manner, why would the differed-upon weakness not be compensated for, especially when the multiplicity [of chains] can be considered as reaching the degree of continuity [tawatur] as mentioned above? As per the pronouncement of the scholars, a mujtahid’s invoking a narration as proof is considered his authentication of it and the weakness of later narrators does not call into question the earlier scholars’ reliance [ihtijaj] upon the narration. Therefore, when the scholars preceding the impugned narrators believed in this prophecy, they [by implication] attested to the reliability of the traditions on the subject, and the weaknesses that crept into the chain at a later point in time does not affect their presenting evidence with the traditions. As for later scholars taking the tradition as authentic on the authority of predecessors [salaf], its continuity to them is like the suspended reports [ta’liqāt] of al-Bukhari. When al-Bukhari brings a narration without a chain of narrators where he [is known to have] ensured its authenticity, its chain of narrators is not [ordinarily] searched for and his authentication is relied upon. However, it is confirmed that al-Bukhari has actually quoted it. We have proved that if authentication is attributed to the earliest generations then the evidence of the later generations is also verified. Discussing another hadith, he has quoted the words of al-Hakim “this is a sound tradition according to the conditions laid down by Bukhari and Muslim” and has proven that it is not per the conditions of Bukhari and accepted that “it is sound only according to the conditions laid down by Muslim” for its chain has narrators from whom al-Bukhari has not narrated though Muslim has. As regards the observation about the pro-Shi’a sentiments of ‘Ammar al-Duhni it does no harm after accepting that he is a narrator in [Sahih] Muslim and the narrations of Muslim are sound. It is obvious that the reliability of Muslim’s narrations cannot be merely for the fact that he is Imam Muslim, rather it is due to the fact of his being a great critic who does not transmit from weak narrators. Therefore, his narration on the authority of ‘Ammar al-Duhni shows he does not consider criticism against him enough to impugn the soundness of the hadith. This is due to the fact that on the question of reliability it is the truthfulness and retention that matters [more than doctrinal inclination]. Most critics narrated the hadith upon satisfaction on these two accounts. Thus, ‘Ammar’s being a narrator with Imam Muslim is enough for the soundness of the hadith. He has also quoted a narration of al-Tabarani without mentioning any fault with it. As regards the statement of al-Tabarani, “it was transmitted by a number of persons on the authority of Abu al-Siddiq. None of them inserted another transmitter between him and Abu Sa’id except Abu al-Wasil. He transmitted it on the authority of al-Hasan bin Yazid, on the authority of Abu Sa’id,” it is not harmful because according to the hadith scholars addition of a reliable transmitter is acceptable. It is addition, not a contradiction, because in other narrations Abu al-Siddiq reports on the authority of Abu Sa’id without mentioning the manner of transmission. Therefore, other chains of transmitters do not contradict this. What harm does it do when it is simply an addition and the narrator is trustworthy? It may be argued that the author has quoted from al-Dhahabi that al-Hasan bin Yazid is little known [majhul]. This is vague [mubham] negative criticism and it is overruled by positive criticism which is quoted immediately next to it by the author, “he was mentioned by Ibn Hibban in al-Thiqat.” It is like Abu Hanifa’s criticism on Zayd bin ‘Ayyash, a narrator of hadith about the sale of wet dates, that he is little known [majhul] and all other hadith scholars responded that Zayd is so-and-so and if Abu Hanifa did not know him, others did. If it may be argued that about the transmitter of the hadith, Abu al-Wasil, the author has mentioned, “no tradition of Abu al-Wasil was published by any of the six authors of the authoritative collections” then the objection has already been answered. Further, the author himself writes, “He was mentioned by Ibn Hibban in al-Thiqat in the second category and Ibn Hibban said regarding him, ‘he transmitted traditions on the authority of Anas, whereas Shu’bah and ‘Attab bin Bashir transmitted traditions on his authority.’” When Shu’bah – ‘the leader of the faithful in Hadith’ – narrates from him, the six authoritative works not having reports from him is irrelevant. The author, Ibn Khaldun, also mentions a couple of reports from Sahih Muslim. There is another hadith in Sahih Muslim that he did not quote. 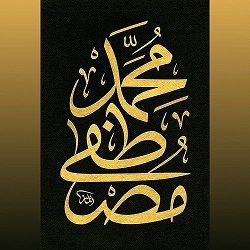 It says, [Jabir bin ‘Abdullah said: I heard the Prophet say:] “. . . ‘Isa bin Maryam will descend and their leader will say: ‘Come and lead us in prayer,’ but he will say: ‘No, you are leaders of one another,’ as an honor from Allah to this Ummah.” These narrations are reliable according to the author as well. This is the reason that after criticizing various hadiths he had to make the exception, “these are all the traditions published by the religious authorities concerning al-Mahdi and his appearance at the end of time. One has seen what they are like. Very few are above criticism.” Firstly, to say that the authentic hadiths are only a few is not true. The number of traditions reported by the author are five to six hundred and calling that ‘a few’ is not justified. This is known to the experts of hadith. Moreover, even if this claim is accepted, it does not call into question the issue of al-Mahdi since solitary reports are also a proof in shariah especially for issues whose denial [inkar] is just an innovation [bid’ah] [and] not outright disbelief [kufr]. The issue of the advent of al-Mahdi is from this category. It is practically like a well-reported thing as it is supported by a number of other factors already mentioned. One may argue that regarding these traditions [from Sahih Muslim] the author said, “[Muslim’s] traditions do not mention al-Mahdi, and there is no evidence in them to show that al-Mahdi is meant in them.” The response to this objection is that an absence of explicit mention of the name of al-Mahdi is not a problem. The author’s argument is “there is no evidence that al-Mahdi is meant in them” but if an evidence is produced his argument will be nullified. It is thus submitted that hadith scholars are nearly unanimous that if one text or chain of authorities of one hadith is equivocal [mubham] and that of another are unequivocal [mufassar] and there is reasonable evidence to prove the connection between the two, the equivocal shall be understood in the light of the unequivocal. Besides the hadith scholars, the author himself has accepted this principle. At one place in the discussion, the chain of authorities of a hadith from Sunan Abu Dawud quoted by the author is, “Abu al-Khalil Salih, on the authority of one of his colleagues, on the authority of Umm Salamah . . . ,” and just after a few lines he quotes the hadith with another chain, “Abu al-Khalil on the authority of Abdullah bin al-Harith, on the authority of Umm Salamah.” At this point the author says, “This clears up the identity of the transmitter, whose name was not mentioned in the first chain of transmitters.” (Then the author says, “The transmitters in it are the transmitters of the two Sahihs. One could not attack them or find fault with them,” though then he raised two objections; firstly, Qatadah is said to be mudallis, which the author himself says in a doubtful tone [sighah al-tamridh] and secondly the very objection we are answering here that it does not mention the name of al-Mahdi. Anyhow, it is only as a parenthetical note and is not directly related to the point at hand). This clarity brought about by the second chain shows that the ambiguous shall be interpreted according to the elaborate, otherwise one could say that in the first chain there is no mention of the name of the companion [of Abu al-Khalil] [so] how could it be known. In short, it is established from the hadith scholars, and the author has himself accepted and acknowledged this principle. Upon comparison, the proximity between the chains of the transmitters and the contents of the reports that explicitly mention the name of al-Mahdi and those that do not will make it evident to every reasonable person that they refer to the same person. The fact that all the hadith scholars have placed these vague traditions [not mentioning the name of al-Mahdi] in the chapters concerning al-Mahdi is a categorical proof for this. The author has himself quoted the saying of some hadith scholar, “it has been said that al-Tirmidhi’s tradition is an interpretation of the traditions transmitted by Muslim in the Sahih.” As for his mentioning it with a weak expression it does not undermine our objective for we are not for deriving any conclusions from the author’s statement; rather our objective is to show the position of the hadith scholars. The way this principle is supported by the author’s own words has been mentioned already. It is, therefore, conclusively proven that the reports unequivocally mentioning the name al-Mahdi and the reports not mentioning it are one in their origins. That the name is not mentioned in some reports has no adverse effect on our conclusion and seeking far-fetched meanings does not deserve serious attention. The reason they do not deserve any serious attention is that they are not supported by evidence, in fact, some of them have implications against the evidence and are, therefore, null and void. Secondly, even to the oblivion of these unclear hadiths not mentioning the name al-Mahdi, the narrations with explicit mention are enough because, as already indicated, in such matters even solitary reports are an evidence especially when they are supported by numerous strong corroborations as has been repeatedly stated. The example of the principle of using the unequivocal to understand the equivocal is like a person who says, ‘a person with such and such qualities visited me today’ and then says, ‘Today Zaid who has such and such qualities visited me’ and mentions the same qualities. Everyone will understand that the unknown person in the first statement was Zaid. The Prophet (ﷺ) said: The flourishing of the state of Jerusalem [will be at the time of] the destruction of Yathrib, the destruction of Yathrib [will be at the outbreak of] the Great War, the outbreak of the great war [will be at] the conquest of Constantinople, and the conquest of Constantinople [will be when] the Dajjal [Antichrist] comes forth. In this hadith there are four issues where the object relates to the subject in the same sense [of cause and effect]. If this is understood, the meanings of “‘Isa bin Maryam is Mahdi” become crystal clear that the descent of ‘Isa will follow the advent of al-Mahdi. Therefore, the proximity of time brought about the figurative unity of the two. Anyway, the evidence of the deniers of al-Mahdi is rendered null and void. He wrote down three letters. He meant their numerical value, kh being 600, f 80, and j 3. This makes 683 years, or the end of the seventh century. Buried treasures (rikaz), such as are mentioned in the Prophetic traditions and such as the jurists assume to exist – that is, buried in pre-Islamic times – are found by chance, not by systematic search. Furthermore, why should anyone who hoards his money and seals it with magical operations, thus making extraordinary efforts to keep it concealed, set up hints and clues as to how it may be found by anyone who cares to? Why make a written list of it, so that the people of any period and region could find his treasure? This would contradict the intention of keeping it concealed. Thus, the encryption involved is unknown and without knowing the encryption rule how can any interpretation be made. Elsewhere [in the same book], Ibn Khaldun writes: “because only previously known or established rules can lead to the decipherment of such puzzles.” Therefore, when the authenticity of the author’s interpretation [of Ibn al-‘Arabi’s words] is not proven, rather it is proven otherwise by the arguments above, the objection itself is rendered null and void. Whereas, the validity of unveiling [kashf] is proven by hadith and the author himself acknowledges it elsewhere in the same book. Once its validity is also acknowledged [along with the weakness of the objection raised] all the questions are rendered null and void. “Maulana Ashraf ‘Ali Thanwi – referred to as Mujaddid al-Millat (the Renewer of the Community) and Hakim al-Ummat (Physician of the Community) – is arguably the most famous graduate of Dar al-‘Ulum Deoband. . . . He was one of the most prolific writers in the history of Islam and wrote books on practically all of the Islamic disciplines. . . . He died in 1362/1943.” See, Taqi Usmani, Muhammad, The Great Scholars of the Deoband Islamic Seminary, London: Turath Publishing, 2013, p40. “As for Ibn Khaldun, he went after what he had no knowledge of. Without consideration he plunged into matters he was not expert at. He was rather occupied by affairs of politics and statecraft, and serving the courtiers of the kings and ministers. They made him to fall for the idea that al-Mahdi is the belief of the Shi’ites [alone], or he fell into this inadvertence himself . . .” See, Musnad Ahmad, Cairo: Dar al-Hadith, 1995, Vol.3, 492, Hadith 3571. Maulana Thanwi was not the only one to refute Ibn Khaldun’s objections. Sh. Ahmad bin Muhammad al-Siddiq al-Ghumari (d. 1380/1960) produced a dedicated treatise on the subject, Ibraz al-Wahm al-Maknun min Kalam Ibn Khaldun (Exposition of Hidden Defects in Ibn Khaldun’s Arguments [about al-Mahdi]), and many others including Ahmad Shakir, al-Albani, and ‘Abdul Rahman al-Mubarakpuri have commented on Ibn Khaldun’s arguments discussing the various narrations about al-Mahdi. Also see, Al-Ghumari, Ahmad bin Muhammad al-Siddiq, Ibraz al-Wahm al-Maknun min Kalam Ibn Khaldun, Damascus, Matb’ah al-Tarqi, 1347 AH, 446-447. The copy I have starts the page numbering from 432. Perhaps it was originally a part of some larger collection. This is by no means an exhaustive list of Companion narrators of the reports about al-Mahdi. Among others who narrated are 15) Jabir bin Abdullah (see note 27), 16) Huzayfah bin al-Yaman, 17) Uthman, 18) Abu Umamah, 19) ‘Ammar bin Yasir, 20) Jabir bin Majid, 21) ‘Abdul Rahman bin ‘Awf, 22) ‘Imran bin Husain, 23) Hussain bin ‘Ali, 24) Tamim al-Dari, 25) ‘Amr bin Marrah al-Juhni, and 26) Ma’az bin Jabal. See al-Kattani’s Nazam al-Mutanathir min al-Hadith al-Mutawatir, Cairo: Dar al-Kutab al-Salafiyya, 225-6, and Ibraz al-Wahm, 437-438. In total, therefore, we have the names of 26 Companions who narrated from the Prophet on the issue. The number of reports from the Companions and the Followers (tabi’in) is very large. Ibn Khaldun, Muqaddimah, Trans. Franz Rosenthal, New Jersey: Princeton University Press, 1980, Vol.2, 156. All the references to Muqaddimah are from the 1980 reprint of the translation. The translation has been emended at times for the purpose of maintaining flow and clarity. This confession by Ibn Khaldun highlights the inconsistency of the modernists on the scale of Ghamidi who on the one hand say “sunnah” is something transmitted continuously from generation to generation and is as such in no need of specific narrations and on the other refer to Ibn Khaldun’s criticism of the narrations about al-Mahdi. If this statement is true and there is no evidence to doubt it then these modernists should not have any interest in the authenticity of these narrations. Moreover, it also strikes at the roots of the attempt to interpret the selected narrations on the subject to mean ‘Umar bin ‘Abdul ‘Aziz. A separate paper analyzing such an interpretation is forthcoming. This principle, though true, is neither absolute nor unrestricted. There are many conditions attached. Gradation of a narrator as reliable is accepted without looking for any details, but negative criticism has to be elaborate making the reason for weakening of the narrator clear. Even in the two Sahihs there are narrations from narrators who have been criticized by some but for invalid reasons or without due explanation. See, al-Ghumari, Ibraz al-Wahm, 459-466. For further details and scholarly references see ‘Uthmani, Zafar Ahmad, Qawa’id fi ‘Ulum al-Hadith, Ed. Abdul Fattah Abu Ghuddah, Karachi: Idarah al-Qur’an wa ‘Ulum al-Islamiyyah, n.d., 167-175. In fact, those who came before the emergence of these hadith collections were by far more knowledgeable in the Sunnah than those who came after them. This is because a large part of the Sunnah that had reached them and had been authenticated by them might not have reached us except through unknown transmitters or a severed chain of narration, or might not have reached us at all. Thus, it can be said that their “hadith compilations” were preserved in their hearts, which contained several times as much as that which is found in the physical collections, and the one who is well-versed in this issue will have no doubts about this [point]. Did Ibn Khaldun show the weakness of all the reports on al-Mahdi? Among those who lied upon Ibn Khaldun and said that he showed the weakness of all the reports are the neo-hadith rejecters Dr. Shahzad Saleem and Tariq Hashmi. Ibn Hibban was not alone in grading Sulayman bin ‘Ubayd as reliable. Yahya bin Ma’in also graded him as trustworthy (thiqah) and Abu Hatim said he is truthful (saduq). See, Ibn Abi Hatim, al-Jarh wa al-Ta’dil, Hyderabad: Da’ira al-Ma’arif al-‘Uthmania, 1952, Vol.4, 129. (al-Mustadrak, Hadith 8659). Al-Dhahabi agreed with al-Hakim in grading it as sahih according to the conditions of al-Bukhari and Muslim. Ibn Khaldun has himself stated that “Ahmad, Ibn Ma’in, Abu Hatim, an-Nasa’i and others considered him reliable.” Though he mentions Bishr bin Marwan’s criticism against him it was only because of his pro-Shi’a sentiments. Ibn Hibban has also counted him among the trustworthy. See, Silsilah al-Ahadith al-Sahihah Vol.5, 262. However, when a report goes against stronger evidence and comes through someone with specific inclinations linked to the subject matter of the hadith it might well be a problem. The report about al-Mahdi does not contradict anything in the entire Islamic rubric. Here Maulana Thanwi misses the point. Most of the hadith scholars have carefully noted that Ibn Hibban has mentioned in al-Thiqat some narrators who were by themselves little-known (majhul) but they transmitted on the authority of trustworthy narrators and trustworthy narrators transmitted on their authority. According to the established opinion, however, this fact does not make a narrator trustworthy. This explains why al-Dhahabi still graded him as little-known (majhul). In relation to this tradition, however, see note 25 for further details. In view of this, Ibn Khaldun’s criticism of this version of the narration alone is pointless. عن الجريري، عن أبي نضرة، قال: كنا عند جابر بن عبد الله فقال: قال رسول الله صلى الله عليه وسلم: «يكون في آخر أمتي خليفة يحثي المال حثيا، لا يعده عددا» قال قلت لأبي نضرة وأبي العلاء: أتريان أنه عمر بن عبد العزيز فقالا: لا. Mudallis is someone who is known for omitting a narrator from the chain of transmission of a hadith in a subtle manner. Such a narrator narrates a hadith, which he had not heard from a person whom he met and with whom he was contemporary, in such a manner as to give the impression that he had heard it directly from him. This practice is known as tadlis. A nice thorough analysis! Mashallah. MashAllah great article with strong points backed up with sahih hadith. I strongly benefited and learnt much from your works regarding Imam Mahdi. I have read sunan abu dawud kitab al mahdi but i want to know where the hadith is about Imam Mahdi being in madina or Quds. Can you please provide me with the sahih hadith explicitly mentioning Imam Mahdi being in Madina or Jerusalem?